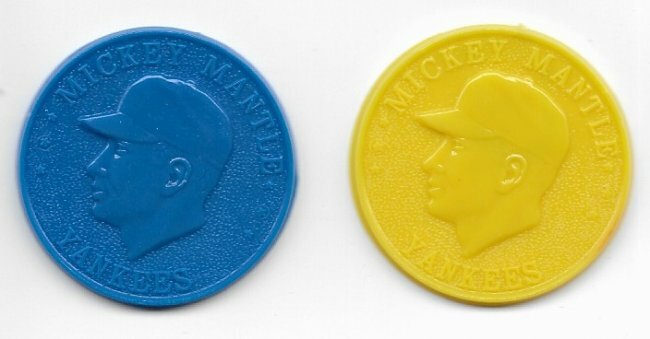 Two 1960 Armour Coins, Mickey Mantle royal blue & yellow versions! Spent my Christmas money on a very clean signature for my Carl Lundgren collection - Cubs pitcher from 1902-1909 and died young in 1934, so tough and expensive auto to find. He was a baseball coach and later athletic director at the University of Illinois, and this is a Big 10 intercollegiate contract he signed as the A.D. in 1931. Very nice piece for your collection! Great color on those coins Dano. Nice looking contract for the age. Great story behind it. Thanks for sharing. 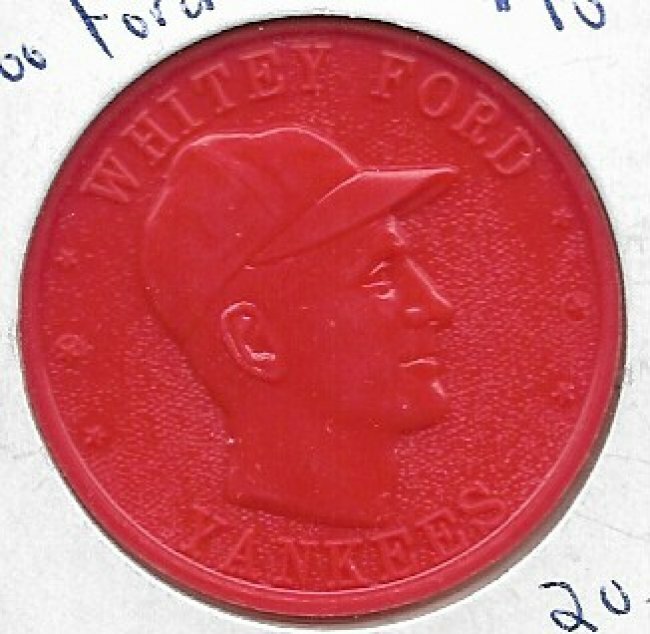 Whitey Ford 1960 Armour Coin arrived today! 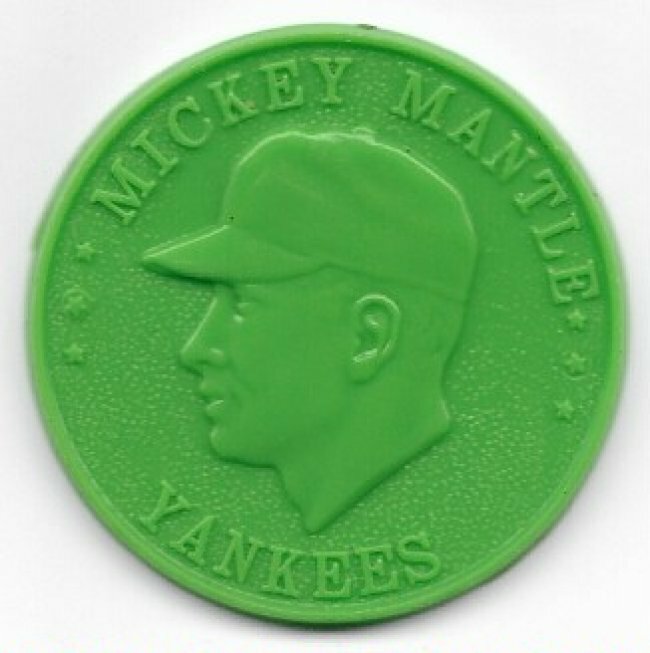 The green 1960 Armour Mickey Mantle coin arrived today! 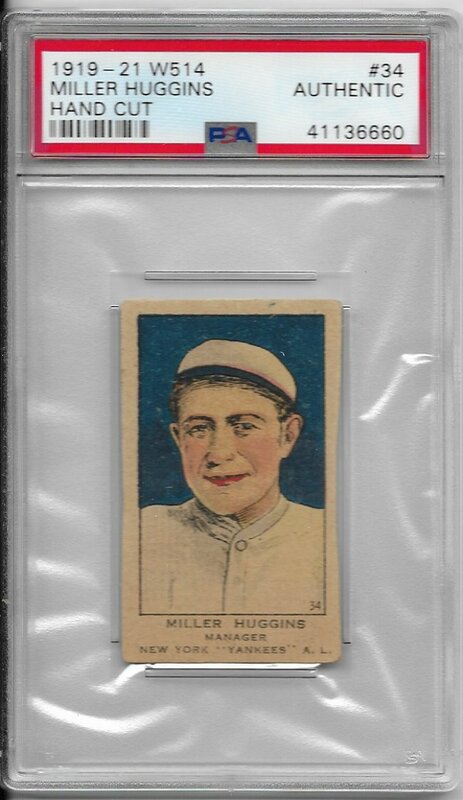 Completed my W514 Yankee set, with this Miller Huggins! Very nice! Photos are often overlooked!!! Thanks for sharing. Is there any writing on the back of the photo ? No writing on photo. There is a tiny "57" stamped on front, and that may be the year. On back is a stamp "J 182" that is probably a position number from development. I found a scholarly document online that is very comprehensive about different deckle edge photos ( https://digital.library.ryerson.ca/i...n_snapshot.pdf), and can say my photo is a Kodak Ornamental Deckle Edge, which was first introduced in 1956. Zimmer played in Brooklyn 1954-1957. So photo was taken either in 56 or 57, and with the "57" stamp, I'd lean towards 1957. Don't see any clues in the photo that would help identify it further.